Is your investment strategy right for you? The Financial Times Guide to Selecting Shares that Perform helps you identify the approach to buying and selling shares that is best suited to you. It will help you to align your strategy based on the time and money you have available, taking into account your overall objectives and your attitudes to risk and loss. 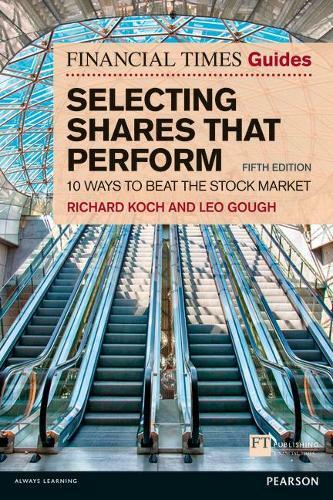 In this thoroughly updated fifth edition of their bestselling investment classic, Richard Koch and Leo Gough explain 10 distinctive and proven investment techniques for you to choose from. They describe the different tactics needed to succeed in today's market conditions and show you how it can be fun and profitable to try to beat the stock market.